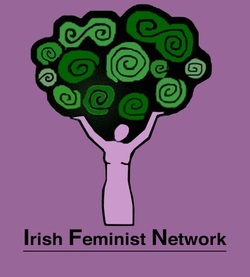 The IFN is a members-based organisation committed to promoting gender equality in Ireland. Co-ordinators currently oversee the IFN’s work in the broad areas of policy and research, outreach and events, and campaigns and advocacy. The organisation is open to all those interested in working towards a more just and equitable society through the elimination of gender inequalities. The IFN is a members-based organisation committed to promoting gender equality in Ireland. Co-ordinators currently oversee the IFN’s work in the broad areas of policy and research, outreach and events, and campaigns and advocacy. The organisation is open to all those interested in working towards a more just and equitable society through the elimination of gender inequalities. Read more about us here or read about getting involved here. Who we are: We are an Ireland wide network of engaged feminists co-ordinated by a small group of volunteers who oversee event planning and organisational strategy. What we are: We are committed to raising awareness of feminist issues through events, publications, and campaigns with the aim of engaging all aspects of Irish society in feminism. Why we are: We work to challenge gender and intersecting inequalities with a view towards a more equal Ireland for everyone.